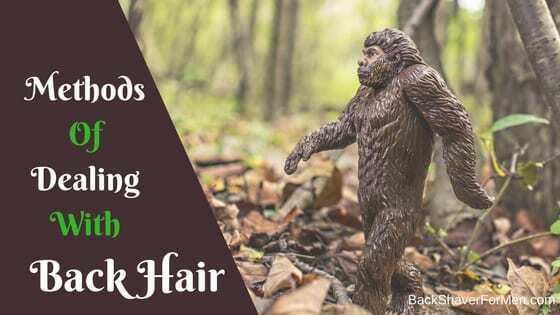 Before embarking on a specific modality of dealing with your back hair, why not be enlightened at the current methods but also the positives and negatives drawback that each system offer. Better to be informed in the beginning and make an informed decision to possibly avoid wasting valuable money and time. As there are many methods out there too, in which to choose from. Options are always great, the more options the better. Right? The back, your back, our backs, are a particularly difficult area to address. 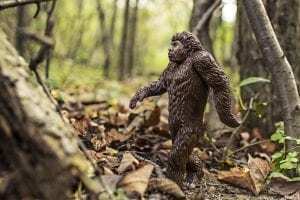 As normal access to our backs is limited to the constraints of the lack of mobility within our arms and shoulders to effectively reach and address getting rid of that dreaded back hair. The back is unique in that it is the most unreachable spot on the body, as opposed to other spots that are easier to get to. 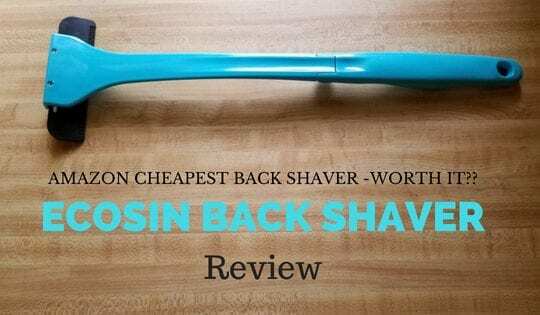 Think of all the back reaching devices out there, back scratchers, back shavers, the towel held in both hands and swung over your back then moved in a back and forth motion to dry your back. What are the current methods of back hair removal? Which every method one might choose, with all things in life, there are going to be positive and negative results with each method. One might offer a better long-term result but require larger sums of money. It’s just the natural way of things for solutions to problems. A give and take of results as well as procurement. There are six methods currently available for having to do with the removal of back hair. The method you prefer depends on many factors which I hope to share with you. Why not, I guess to start out with the most painful method of the bunch. Right? And get this out of the way. You’re going to have to prepare for the possibility of eyes bulging, possible sobbing and making victim noises, and screaming Kelly Clarkson. But with this pain, there is a pretty good trade-off. That trade-off is often longer lasting results. Results often vary due to family genetics, but it can be up to six weeks. Waxing can be done either in the comfort of your own home, either by you or another individual OR away from your home at a spa or business that performs waxing. Waxing your back at your own home is going to require an accomplice either your wife, your husband, a friend or a family member. There lies a problem with that is their guarantee reluctance to want to do this. Nobody is dying to or jumping at the chance to wax your back, it’s one of the things they might make you do in hell. Disgusting as well as causing pain to someone. Waxing is done with either two types of wax or sugaring, soft wax, and hard wax. Both have their advantages and disadvantages. Generally, soft wax is used for the larger areas, like the back, while the hard wax is for smaller more sensitive areas. The wax is then covered with a type of cloth, the cloth is usually rubbed into the wax and a quick motion of ripping the cloth away from the skin. Cost: At home anywhere from $20.00 up to $1000.00. At a salon or spa expect it to start at around $35.00 and go upwards sometimes into the hundreds of dollars. How Long It Takes: As few as 10 minutes up to 1 hour. How Long Results Last: Anywhere from four to six weeks. Effects On Skin: Possible allergic reaction to wax, as well as redding and irritation. Depending on the type of hair one has growing on your body, this can be a possible permanent solution but costly and lengthy procedures. This also can be performed at home with assistance or at a salon or spa. As far as the type of hair is the concern, it only works generally on dark hair. If you have light or blond hair, it will not work. So it all depends on the type of hair you have and whether or not laser hair removal is an option for you. But if you do have dark hair, you are able to have it performed on you. Expect to have multiple visits probably, up to 20 or more for treatments or a few as 6 treatments. Follow up treatments may also need to be scheduled for the remainder of your life as well. There is usually a six to eight weeks span between laser treatments sessions. Also be aware of that there is nothing that does total hair removal. With laser, it will reduce the amount of hair but will not totally eliminate it. This will offer to reduce time in dealing with removal of the hair in the future, as well as leave hair that is very lighten. Cost: It varies greatly, from a home-based model starting at $145 all the way up to $1,200.00. Spa treatments can range per session $300.00 to $800 per session. Expensive. Effects On Skin: Discomfort for a couple of days, feels like a sunburn. Swelling & blistering can be expected. Possible scarring as well. Chemicals used to remove hair are also called depilatory creams, they work by dissolving the hair just at the skin’s surface level. This can be one of the cheapest methods of removing unwanted hair from your back. If you can generally get past the smell, the work rather fast, usually in under 15 minutes or less. Generally, you apply the cream and wait anywhere from 5 to 15 minutes then take a shower and the hair just falls off. Sometimes additional wiping or combing to brush it off. You might need assistance from another person or you can buy back applicators to apply the product to your back, they look like a back scratcher but have some type of absorbent material to apply the depilatory cream too. Some find good results with using this in conjunction with shaving for complete removal. 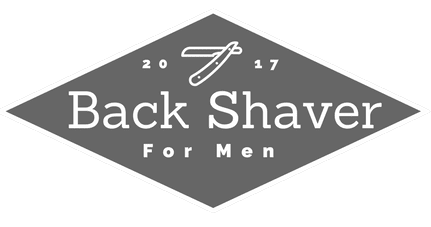 As if you are especially hairy, the cream knocks down a considerable amount, then the razor takes care of the remaining hair. Should be avoided if you have sensitive skin. As much of the complaints are of breaking out and irritation of the skin. Caution of where one should apply it, as sensitive areas need to be avoided. Also, re-applying it to the same area is generally going to inflame the area. Effects On Skin: Can cause the skin to be irritated and inflamed. Pain Level: 2 out 10, unless severe irritation occurs. This method can be pretty quick and painless, but will for sure leave stubble. The cost is also very affordable considering once the shears are purchased it will last for many years to come. Using shears to provide adequate hair removal on one’s back is going to call for an assistant. Otherwise, your going to be called “patchy” when you take your shirt off. As your arms will not reach all areas of your back and provide an effective hair clearing. So, you might have to pay, beg or threaten (jk) to find someone to help, as most people don’t find this enjoyable. 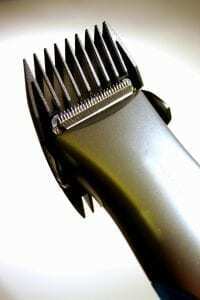 This method alone will leave stubble, but it can be used with a razor, as the shears knock down the bulk of the hair, then the razor comes in to finish the job. Cost: $15.00 to $120.00 for a quality shear. How Long It Takes: 5 to 10 minutes. How Long Results Last: A week. Effects On Skin: Barely anything. What is an Epilator? Is a device either electrical or not that mechanically grabs ahold of multiple hairs then immediately pulls the hairs out. Sometimes the Epilator uses a spring to grab hold of the hairs or some other type of mechanical system. They can be either electrical or not, some needing batteries or charging. About the same pain level as waxing can be expected with using an Epilator. As you will be pulling the hair out from the root. You are going to have to have someone help you too, with this method again…because our arms can’t reach our backs effectively. The good thing about Epilator is that they don’t ever need any replacement parts to keep working like razors need to be replaced after a while. How Long It Takes: Depends how much pain you can tolerate at once. 30 minutes to 45 minutes. How Long Results Last: 4 to 6 weeks. Effects On Skin: Some redness. This is the normal razor people use on their faces and legs. You can get decent results using this method if you have someone help you, but if you do it by yourself you will get less than good results. This is partly due to the short handle and short blade width. The motto, “the right tool for the right job“, comes to mind with this method. As your using a device that was designed for a specific area of your body, the face. Expect the time to take considerably longer than any other method as well, ESPECIALLY if you have a dense jungle back there. How Long It Takes: Depends on 10 minutes on up. How Long Results Last: Generally a week or two. Effects On Skin: Little to no effect on the skin. Sometimes a knick or two. I personally enjoy this method. Why? Because it allows me to do this myself and I am a very independent person. Also, it allows me to get good results with little to no side effects, all in under 15 minutes for myself. Now, you might be longer for you depending on how thick your back hair is. 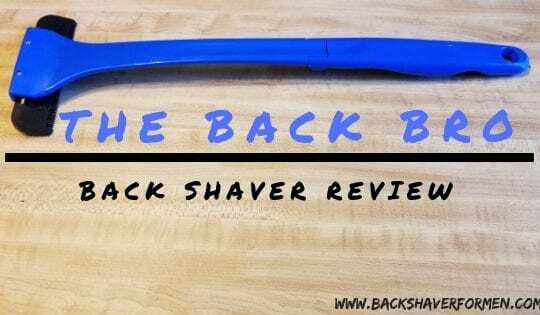 A back shaver will effectively shave the hard to reach areas of the back usually by a long handle and at the end, some sort of razor is attached. As, for my personal recommendation, I love the baKblade, you can read my full review here, What Is baKblade? It is the best I have found and used. 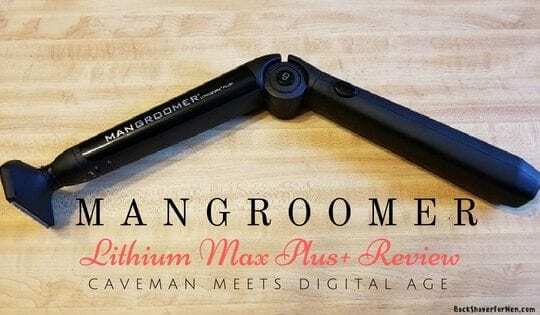 Its design provides the best natural angle for shaving and also the razor just obliterates the hair in rapid fashion. How Long It Takes: Depends on back hair thickness and growth. 10 minutes to 20 minutes. Effects On Skin: Little to no effects on skin, occasionally a small knick. 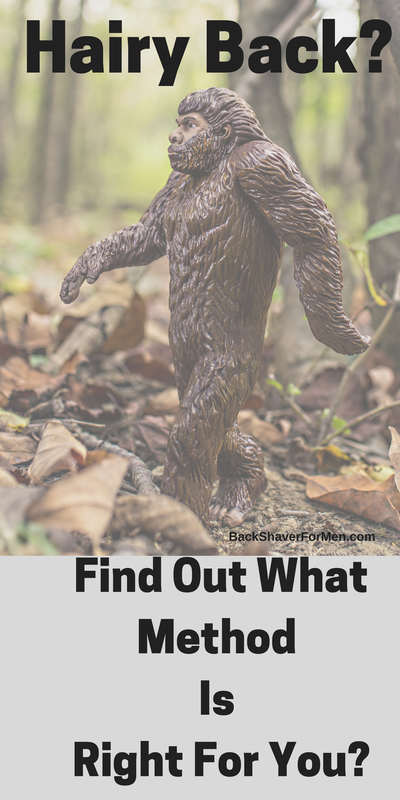 I hope this has helped you decide what method is right for you in dealing with getting rid of back hair. As there are many options to choose from that best fits your life. 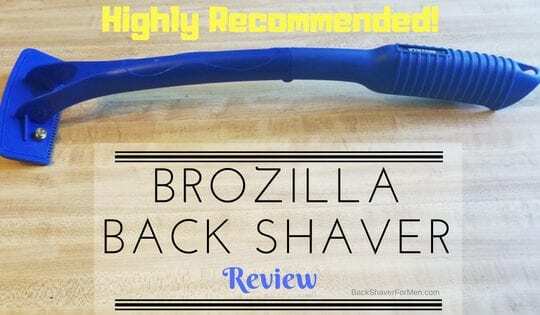 I personally use the baKblade and I just love it, I have tried other back shavers and they just didn’t match up the baKblade. Trust me you’ll love it. Have any thoughts or comments would love to hear them below? Thanks!